A beautiful and multi-functional danish modern teak vanity / dresser by Nils Johnson for Torring Mobelfabrik and produced by HJN Mobler in Denmark. The top of the piece folds up to reveal the original mirror and storage area featuring drawer multiple compartments to organize and store just about anything you need (makeup, jewelry, etc). 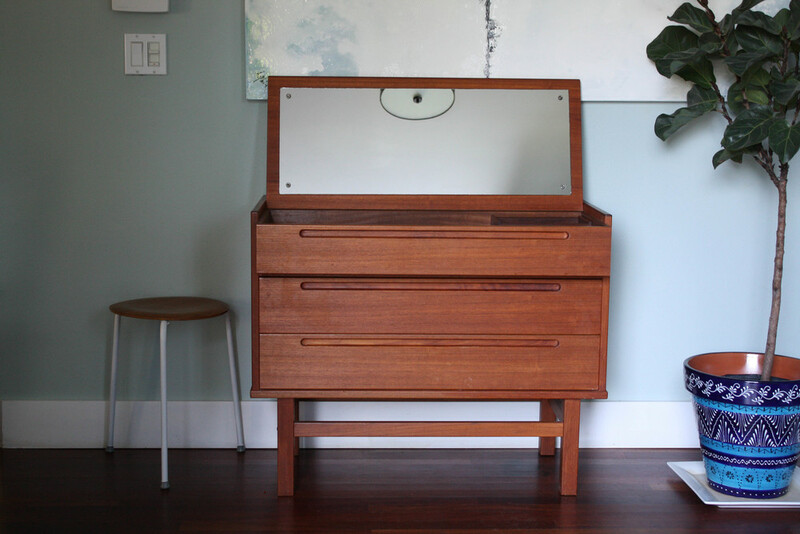 It has two generous drawers with classic dovetailed joinery. This is a classic 1960's dressing table and the original makers mark is still visible on the backside. 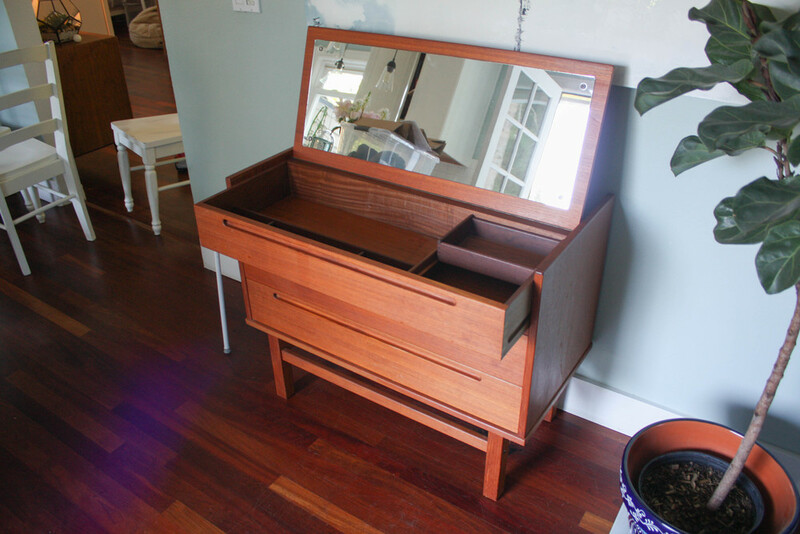 Would work perfect as a a compact dresser, vanity, small credenza, or even a desk. Super functional.